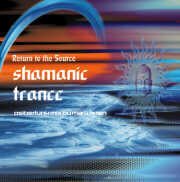 Return To The Source, the monthly London-based trance night which he co-promotes. He has compiled the last 3 Return To The Source double CD's and has had 2 mixed compilations released on KICKIN and PHANTASM. Mark has run a regular column in WAX Magazine, writing about his monthly exploits in much the same way as Mixmaster Morris's monthly column in MIXMAG. One of the legendary Pagan sound-system DJ's, whose parties are placed firmly in the annals of the trance scene, Mark has also contributed to a series of releases with MINDFIELD, NICK TAYLOR (as Akasha), THE GREEN NUNS OF THE REVOLUTION, ANDY GUTHRIE and O.O.O.D. sample: " science fiction plays a very important role... what it does, it opens the minds of the people..."; "the way we live is not the only possible way..."; "messages..."